If tech investor James Arbib and Stanford economist Tony Seba are correct, then car dealerships as we know them will be gone within seven years. You read that right: seven years. In a co-written report that was supported by a study from the independent San Francisco think tank RethinkX, Arbib and Seba contend that the disruptiveness of ridesharing and electric vehicles will accelerate the decline of the dealership's usefulness to the point where it is effectively unnecessary by 2024. 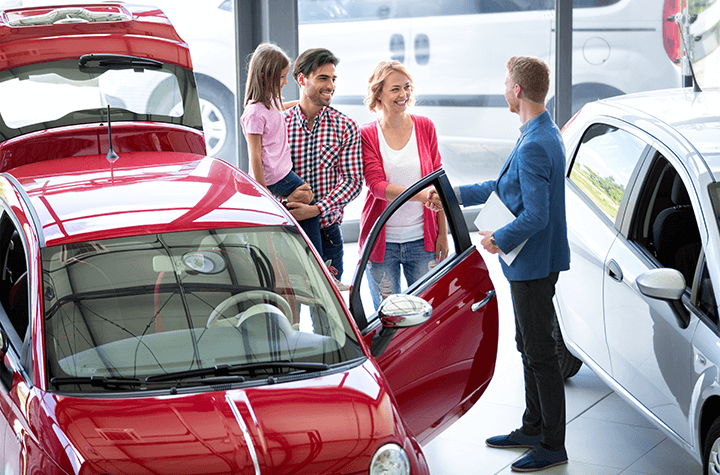 With such a prediction coming to fruition, the damage done to dealerships would be twofold. The rise of electric cars and ridesharing would not only suppress the demand for gas-powered vehicles, it would also eliminate the need for repairs and servicing that many dealerships benefit so greatly from. "You only have 20 moving parts in the power train of an electric vehicle, but 2,000 in the power train of a gasoline vehicle, so there is far less to go wrong," said Arbib. Some may look at this prognostication and wonder why, if both of these 'disruptors' exist and are readily available, mass disruption hasn't yet occurred. For Arbib and Seba, we will be waiting for the proverbial 'other shoe to drop' until prices are ready to drop with it. In the report, they forecast that ridesharing will be multiple times cheaper than owning a car and save the average American family $6,000 per year. With an improved battery life and a significant price drop, they believe that electric cars, which are currently priced about $10,000 higher than what would make them affordable on a widespread level, will emerge as the most economically viable driving option. Whether it actually plays out that way will be another story. We'll just have to wait and see. But for Arbib and Seba, the clock is already ticking.